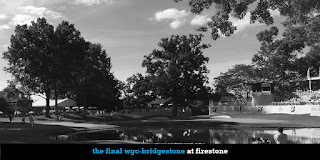 Firestone Country Club has played host to professional golf tournaments since 1954, including three major championships, the former World Series of Golf and the current WGC-Bridgestone Invitational. But this weekend, the world’s best golfers will tee it up in Akron for the final time before the tournament moves to Memphis next year. Doug Ferguson has covered golf for the Associated Press for 20 years, and he has been on hand for nearly every big moment at Firestone over the past two decades. On a special episode of The Nail, Ferguson shares some classic tales from Firestone’s storied history—many of which prominently involve Tiger Woods, who has won in Akron eight times and will play Firestone for the first time since 2014 this weekend. From the “Shot in the Dark” to Sunday showdowns to an approach shot that rolled off the clubhouse roof and ended up in the cart of a guy delivering crunchy cream pies, if you’ve ever been to Firestone, this is an episode you won’t want to miss.